I deal with this issue frequently as I help my clients get out of debt and where to buy viagra over the counter in canada where to order cipro the short answer is NO! That is not to say that interest rate is not an important consideration. It just means that there may be other considerations that may have a greater impact on the speed and efficiency with which you get out of debt. Let me ask you a question. When you choose to use a credit card to pay for a purchase do you decide which credit card to use based on the interest rate on that credit card? Not likely. If you aren’t concerned with the interest rate when you pay for your new purchase, why is the interest rate suddenly so important when you decide to pay the debt off? Let me illustrate. Let’s assume you have two credit accounts; A & B. Both credit accounts have a balance of $5,000. Credit account A has a 15% interest rate and credit account B has a 6% interest rate. If you suddenly came in to $5,000 and you could pay off only one of these accounts which account would you pay off? I have no doubt that you said credit account A. Would your answer change if I told you that credit account A has a monthly payment of $155 and credit account B has a monthly payment of $450? It should. Proponents of the highest interest rate first method would advocate paying off credit account A because it has a 15% interest rate versus credit account B’s 6% interest rate. However, I believe paying off credit account B would be the wiser choice because doing so would improve your cash flow by $450 per month versus $155. This strategy centers on paying off debt that gives you the greatest cash flow increase with the least investment. In other words, for the same $5,000 investment you can increase your monthly cash flow by $155 or $450. Think about how you’ll feel when you suddenly have an additional $450 per month at your disposal. Would you feel greater satisfaction from paying off a 15% debt or increasing your monthly cash flow by $450? While I hope nothing will happen that would put a strain on your monthly cash flow, we all know that life happens, and usually at the most inopportune time. Wouldn’t it be more beneficial to have $450 less in monthly committed expenses in the event something did happen? If you chose to pay off credit account B you could redirect that $450 per month toward the 15% credit account and accelerate the time it takes to pay that account off. Or you could choose to add to your emergency reserve, increase your retirement savings, increase your college savings, improve your lifestyle, or any combination of these options. Would the answer change if you were sending an extra $50 per month toward the $5,000 debt instead of a lump sum? Not in my opinion. 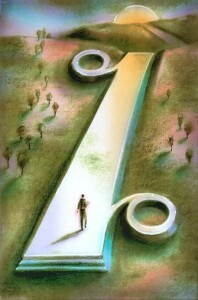 The objective is the same; pay off debt with an eye toward increasing monthly cash flow. The sooner you pay credit account B off the $450, plus the additional $50 you are sending toward that debt, will be freed up once the account is paid in full. Additionally, because the interest rate is lower for credit account B, more of the monthly payment goes to paying down the principal balance, which speeds up the time is takes to pay off the account. There is a common belief in the financial world that “Cash is King.” But is it? A large sum of cash is valuable to the extent that it can be converted to monthly cash flow. 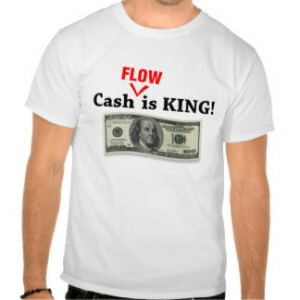 In this day and age, “Cash Flow is King!,” and our financial lives are increasingly focused on monthly payments and the more cash flow you can free up the more options you have available to you. Knock out those high payments first and you free up cash flow to work on other debts. I routinely improve my client’s cash flow by hundreds, and sometimes even thousands, of dollars per month by helping them become more financially efficient. 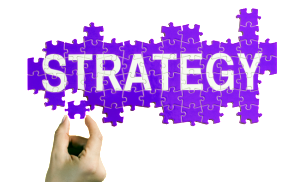 If you would like my help developing a strategy to get rid of your debt contact me to discuss your specific situation.